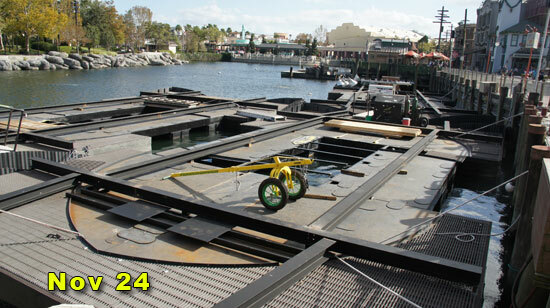 Work continues on development of a new lagoon show at Universal Studios Orlando. No announcement has been made about the show. 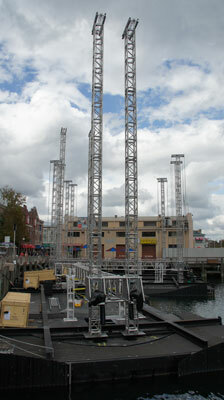 The three floating stages recently soared into the air. Here’s a view of the activity at the base. A couple of weeks ago, the same area looked like this. 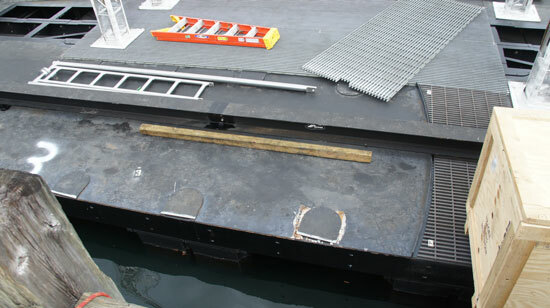 Note how the stage is composed of six sections. 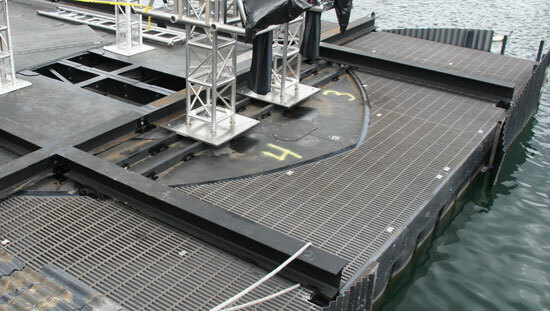 The stages were originally square, with a circular area where a sphere was inflated. 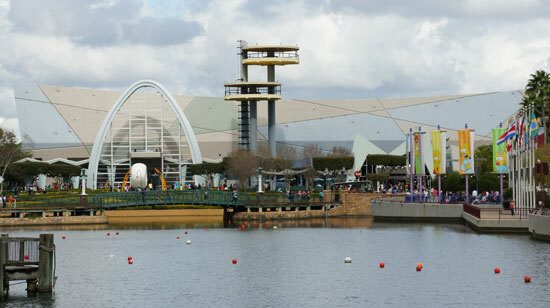 In the old show, Cinesphere 360, scenes from classic films were projected on the sphere surface. 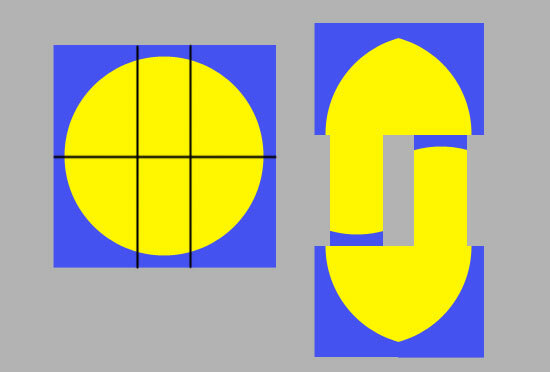 The old square stages have been divided into six pieces, and arranged as seen in this diagram. 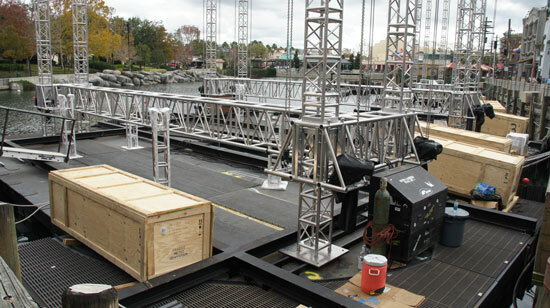 A look at sections of a new stage. 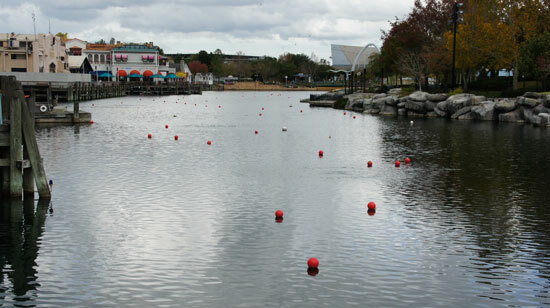 The lagoon itself now has many marker balls. 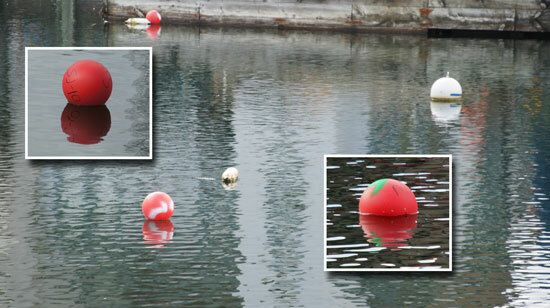 The marker balls have codes written on them, or splashes of different color paint. Most of the markers are orange, but some are white. 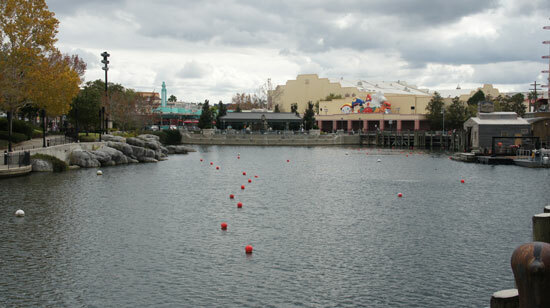 The marker balls probably indicate future locations of special effects in the new lagoon show. What kinds of effects are not yet known. We can only imagine what might happen in the cascades across the lake surface. 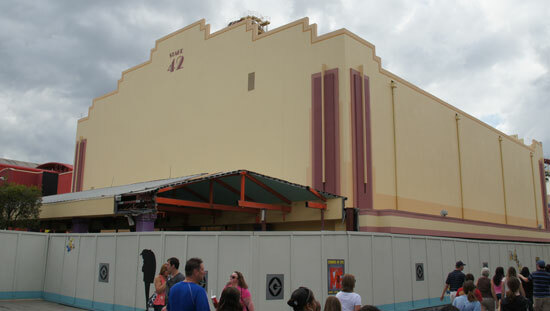 Nearby, some interesting refurbishment is in progress. 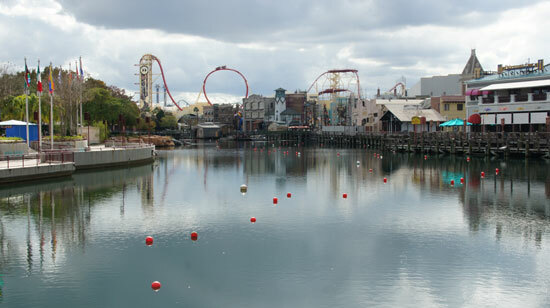 The work may not be related to the new lagoon show, but it does make you wonder. 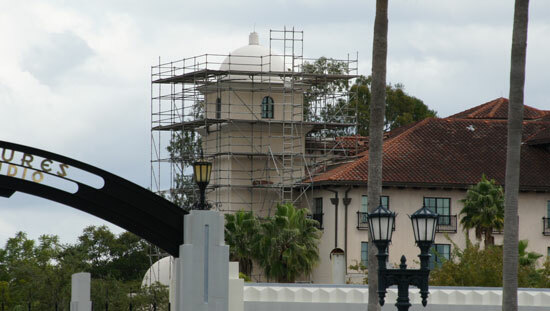 Elsewhere around the park, refurbishment on the Hard Rock Hotel is visible. 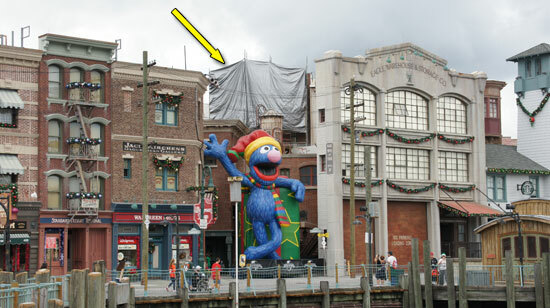 There’s not much to see yet at the new Despicable Me attraction. 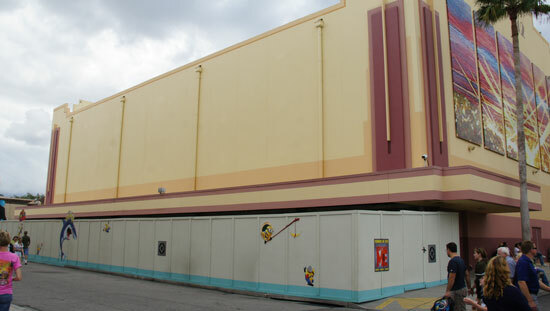 Refurbishment is in progress on the park exit. 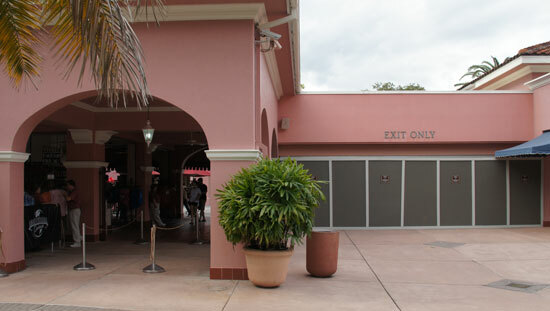 To exit now, you walk through the adjacent gift shop. 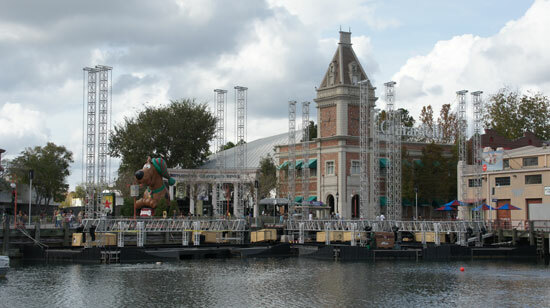 Other side of the temporary exit, looking back into the park. 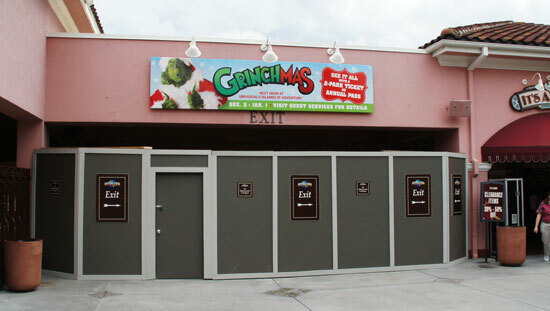 Note that there are no exit turnstiles, you just exit the park between the wide roped lanes.